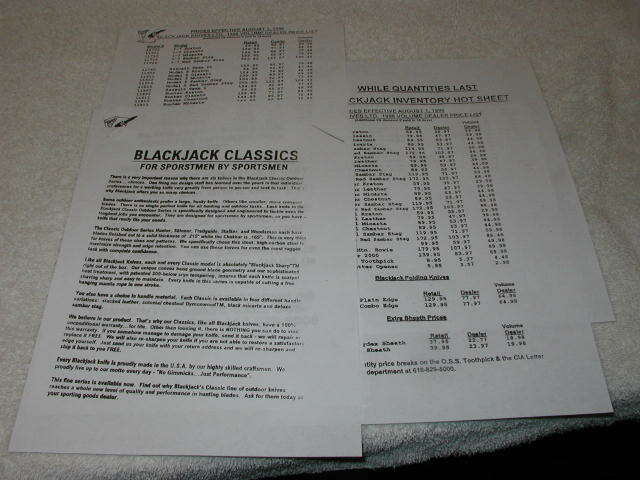 We are offering a final Price List that Blackjack Knives had published on all their knives they were selling shortly before they closed the shop. The price list is a copy which really all were that were sent out off an original they used in their shop. It lists each knife and the retail prices. 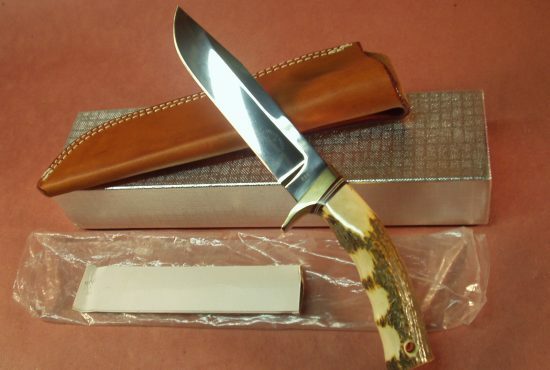 Great to add to your collection of Blackjack knives that were made in Effingham, Ill. Little did many of us know that the relatively inexpensive costs for their knives was no indication that they were cheaply made or were less in quality of some finer knives. The Effingham make Blackjack knives if properly cared for were one of the best hunting / outdoor knives made.